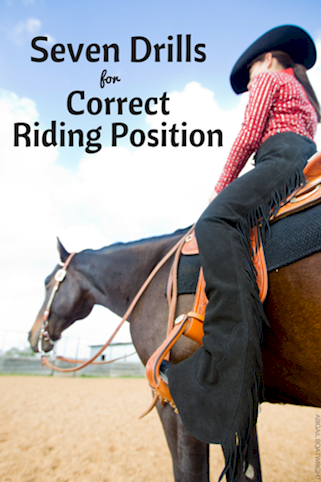 Sometimes slight adjustments while horseback riding can make a big difference. Sometimes a slight adjustment to a rider's position or even a thought in the rider's mind can make a big difference in her success at a particular skill. I'd like to share a few of the techniques that I have found to be useful in helping a student find balance at the canterand with students who have trouble feeling the right moment in the horse's stride to apply the leg aids.